Nature runs its own course on the Hoenderdaell Estate, and nature lovers make new discoveries with every walk. 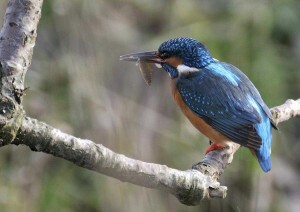 The estate harbours many birds species; if you look closely, you may spot a marsh harrier, kingfisher or other stunning bird. The area is a bird watcher’s paradise. In June 2014 a remarkable plant was discovered in the nature reserve: the fragrant orchid. This plant from the orchid family mainly grows in West and Northern Europe and parts of Asia. In the Netherlands the orchid is very rare and has only been seen on chalky soil, like the dunes of the Wadden area and the southern province of Limburg. 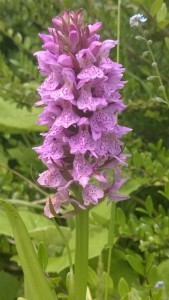 The fragrant orchid flowers from June to August, when they are pollinated by butterflies.